When it comes to raising the value of a home, paint jobs and wall patches are some of the first few things that come to the mind. Remodeling the kitchen and bathrooms are also considered excellent ways to boost the value. But, apart from renovations and remodeling, there are a lot of factors that affect the value. Here, we present some factors that you probably didn’t know can play a role in deciding your home’s worth. Yes, you read it right! Smoking is not only detrimental to your health but also to the value of your home. Thirdhand smoke can be defined as the residue left after the smoke clears out. It is present on clothing, carpets, and counters. You may find it shocking, but smoking can decrease your home’s worth by up to 29 percent. That’s what was told by real estate agents from Ontario, Canada, during a survey conducted by pharmaceutical giant Pfizer Canada in 2013. Solar panels are indeed the best thing since sliced bread. They not only save a lot of your money but also benefit the environment. An average solar power system can increase the value of your home from $15,000-$17,000. The good news is that every state in the US provides financial incentives to install solar panels- from tax breaks to straight cash in your pocket upon installation. Is the crime rate in your neighborhood high? Or is it associated with high crime rate because of neighboring cities? Prospective homebuyers usually refrain from buying a property when they know there is some affiliation with danger, lack of security or a violent past. Buyers are also concerned about issues like wild fires and mold damage. Buyers love greenery! A yard with mature trees always attracts more prospects and allows you to fetch better prices. A well-landscaped yard is preferred by many not only because of the level of privacy can offer, but also because it’s a sign and energy that shouts ABUNDANCE. And who doesn’t want an abundant home?! We might not all love to clean, but cleanliness is a necessity for humans. Every individual that enters his/her potential home expects it to be free of clutter. Even a slightly dingy home can be unwelcoming. Even though buyers know that the house will be empty when they close escrow, sometimes people have a hard time imagining the beauty of a home when they go to an open house with too much clutter or mess from the current owners. Not only is a massive amount of clutter unpleasing to the eye, but it can also have a negative impact on the structural condition of a home. So, you know what to do: Make it a top priority to keep your property clean, shiny, and bright - especially when you’re trying to sell it. Taking the aspects of this list into deep consideration will help turn your property into a hot one. 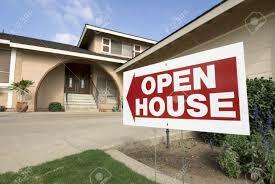 If you want more advice and better promotion while selling your home, know that having an open house is key.